This report provides the committee with an overview of the revenue and capital budgets and outturn for the second quarter of 2017/18, and highlights financial matters which may have a material impact on the Medium Term Financial Strategy or the Balance Sheet. It also includes an update on the capital programme. The position for the Council as a whole at the end of the second quarter shows that there is a significant underspend but that the forecast for the end of the year shows this figure reducing. However there are still a number of underlying pressures across all the Committees that need to be addressed to ensure that this position is sustained to the end of the year. The individual variances for each Committee are detailed within Appendix 1. 5. That the performance in relation to the Treasury Management Strategy for the second quarter of 2017/18 is noted. expenditure position in relation to the first two quarters of 2017/18, to September 2017. The Appendix details net budget for all Service Committees including this one. Actual expenditure is shown to the end of September 2017 and includes accruals for goods and services received but not yet paid for. 2.4 Appendix 1 shows that of an annual budget of �20,562,830 there was an expectation that �10,060,738 would be spent by the end of the second quarter of the year. At this point in time the budget is reporting an under spend of �2,547,216.� However a significant proportion of this relates to rent allowances and this position will be corrected over the remaining two quarters, and an underspend of �292,040 is projected at present for the year as a whole. Whilst this would be a positive outcome, it remains simply a projection.� There remains the risk of unforeseen events and service managers will need to continue maintaining rigorous oversight of their budgets. 2.5 Explanations for variances within individual cost centres which exceed or are expected to exceed �30,000 have been provided in accordance with the council�s constitution. monitor the position and act if necessary at a later date. The variances identified to date and year end forecast variances are set out in summary below.� Where the year end forecast variance relates to a shared service, only the Maidstone share of the variance is reported. Phoenix Park Industrial Units � There is currently a vacant unit which has caused this variance. Economic Development Section -� This variance reflects posts that are currently vacant. Legal Services - The service is currently over-achieving against its income target, although this is partially offset by additional costs from a high workload on planning and contracts. Property & Projects Section - This variance reflects a post that is currently vacant. Revenues & Benefits Manager - This variance reflects a post that is currently vacant, and assumes that the post will not be filled until 2018/19. �with agency staff will reduce the year-end variance. MBC Human Resources Services Section � This variance is due to an underspend on running costs, but it is expected that this area will be on budget by the end of the year. Parks & Open Spaces � Following a restructure this budget area now includes the grounds maintenance team. The variance is a combination of staff vacancies, an under spend on running costs and additional income above the budget.� As part of the Medium Term Financial Strategy, this service area is due to make savings of �150,000 over the next two years so this variance shows that it is well placed to deliver this. Mote Park Caf� � The caf� benefited from a good summer of trading and a reduction in the salaries budget. The operation will be taken over by a private contractor at the end of October. Bereavement Services � Income is currently ahead of budget, but the current surplus income is earmarked to fund the refurbishment of the toilets at the crematorium and to undertake some other minor works, so it is anticipated that the service will be on budget by the end of the financial year. Market - The adverse variance has arisen from unachieved income in this area, with the most notable shortfall arising from the Tuesday market.� This is a continuation of the trend observed in previous years and nationally, which indicate this to be a declining sector.� Officers are looking at alternative revenue generating opportunities. Development Control Applications � The current positive variance reflects fees that have been received earlier than anticipated, which is considered to be a consequence of the forthcoming rise in planning fees and the introduction of the Community Infrastructure Levy.� The budget assumes an increase in planning fees which has not yet taken place, which means that the positive variance is smaller than would otherwise be the case.� Nevertheless, the timing differences described above are expected to give rise to a reduction in the variance over the remainder of the year. Development Control Appeals - There are several inquiries that are expected to take place this year which will lead to the authority incurring significant costs.� At this stage unbudgeted costs of �200,000 are projected for this financial year in relation to these inquiries and the necessary preparatory work, with substantial further costs if decisions are made to award costs against the council. Parking Services � Pay & Display car parks continue to perform overall above budgeted income. There is however an adverse variance against the parking enforcement budget caused by a reduction in Penalty Charge Notice income. This has arisen in part because there is a backlog in dealing with appeals against PCNs. Mid-Kent Planning Support Service � This variance is due to vacant posts, which the manager is intending to delete to contribute to the savings requirement identified within the Medium Term Financial Strategy. CCTV � The variance has arisen from a combination of previously agreed savings targets which have not been realised and a shortfall of income against the budgeted figure. If a proposal to reduce the partnership costs is successful then the variance could be reduced by the end of the year, and officers are looking at other possible savings within the budget. 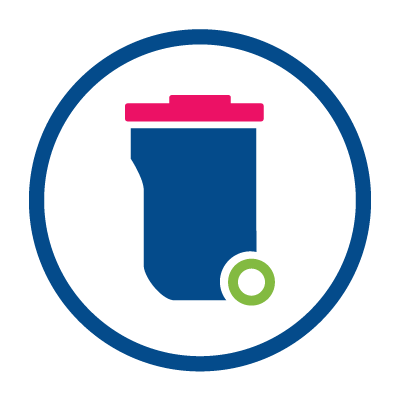 Street Cleansing - The variance has improved since Quarter 1, however there is a remaining savings target which has not yet been fully realised.� Spend on overtime remains high due to staff absences. The refuse collection spend has now reduced considerably due to new procedures although the budget for the year has been spent. Homeless Temporary Accommodation � The projected variance has reduced as compared with Quarter 1.� With the benefit of further information the projected growth in homelessness has been revised downwards.� However, the service remains under severe pressure from the number of families presenting as homeless and consequently this area will continue to be monitored closely. Homelessness Prevention � The current variance reflects issues that are being experienced placing homeless persons into private sector accommodation. Council-owned Temporary Accommodation � This variance is a combination of issues, the main ones being additional building maintenance costs and delays in making the accommodation ready for occupation. Environmental Health Team - The team have now been transferred to Tunbridge Wells BC as part of the shared service and budgets will be adjusted at the revised estimate stage to reflect this. 2.7 Following a reference from this Committee at its meeting on 20 September, the Strategic Planning, Sustainability and Transportation Committee was asked at its meeting on 7 November to address the overspend on planning appeal costs.� The Committee noted the referral and considered the projected overspend. It has requested a further report on historical, current and projected appeal costs. Carry Forward Fund from 16/17 to 17/18 - from Balances to Contingency. 3.7 Following a reference from this Committee at its meeting on 20 September, the Heritage, Culture & Leisure Committee will be asked at its meeting on 28 November to address the projected slippage on Parks & Open Spaces schemes. 5.5 Although collection is exceeding target, overall income from retained business rates growth is lower than anticipated, due to a significant number of reductions arising from businesses successfully appealing against their rateable value.� This is a volatile area of income which can be difficult to predict.� The council maintains a prudent provision to minimise the impact of appeals on the Council�s income. 6.1 The committee are asked to approve the write off of �189,700.64 unpaid business rates debt identified in Appendix 3.� Please note that information relating to individuals is restricted under the Data Protection Act and has therefore been redacted from this appendix. � UK Consumer Price Inflation (CPI) index rose with the data print for September showing CPI at 3.0%, its highest since June 2013 as the fall in the value of sterling following the June 2016 referendum result continued to feed through into higher import prices. � The unemployment rate fell to 4.3%, the lowest since May 1975, but the squeeze on consumers intensified as average earnings grew at 2.5%, below the rate of inflation. � Quarter 2 GDP showed economic activity growing at a much slower pace of 0.3%. � The yield on the 5-year gilts had risen to 0.80% by the end of September after falling in the first quarter of the year. 9.1 As at 30 September 2017, no requirement for short or long term borrowing had arisen. �������� September 2017 the committee has been provided with details of the actions each service committee plans to take on significant variances. 10.2 The Committee is requested to note the content of the report and to enable more accurate monitoring of the programme in future periods. 10.3 The capital programme is reporting expenditure of �7,730,474 to the end of the second quarter, with slippage of �630,000 identified. Details of the programmes where major slippage occurs have been detailed� at Appendix 2. The committee is requested to note the current position of the programme and the proposals put forward to fund the new commercial property purchases.